Government studies show a disturbing picture of how much our younger generations are doing just that — sitting. Despite the vast amount of evidence linking sport with "Mens sana in corpore sano" (a healthy mind in a healthy body), a recent government study showed that only 60% of kids between 5-14 play sports outside of school. The recommendation is to aim for at least 1 hour of physical activity each day (and a max of 2 hours on electronic devices, including TV). Champion's Creed kids martial arts achieve both of these goals. When your children are busy mastering the moves of Jiu-Jitsu or keeping their guard up in Muay Thai/Kickboxing, they're working both their bodies and their minds… and they're not inside the worlds of social media or TV. Champion's Creed kids martial arts have a lot of hidden gifts, too. Want to 'up' your child's mindfulness skills, self-confidence/self-esteem, and positive social interactions? 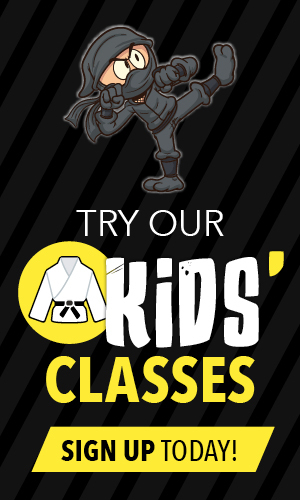 Kids Jiu-Jitsu or Muay Thai/Kickboxing classes are perfect places to do just that. Worried about school bullying? Stats show that kids who are trained in martial arts are less likely to be victims… and no, it's not because they know how to throw, kick, or punch an opponent. It's all about the 'vibe' they give off… that strong, calm, 'don't mess with me' air. But not all kids martial arts programs are the same. 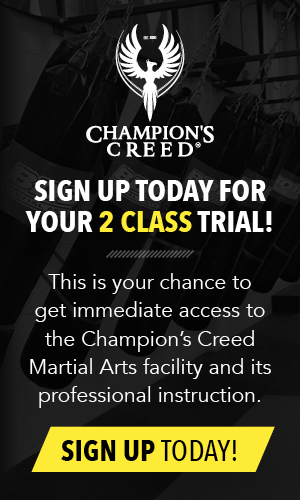 Studies show that the benefits of kids martial arts require the 'right' programs: professional, caring instructors; a correctly organized environment; a 'safety first' attitude … exactly how we roll at Champion's Creed. 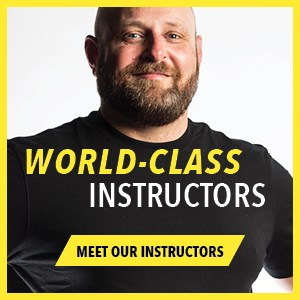 We offer safe, age-appropriate Jiu-Jitsu or Muay Thai/Kickboxing instruction for children and teens. Our programs develop true self-confidence, self-discipline, character, strength, balance, agility, and reflexes… all in a playful atmosphere. Older children, especially, develop deep, ingrained patience; a high level of self-control; sincere respect; developed social skills and strong leadership qualities. 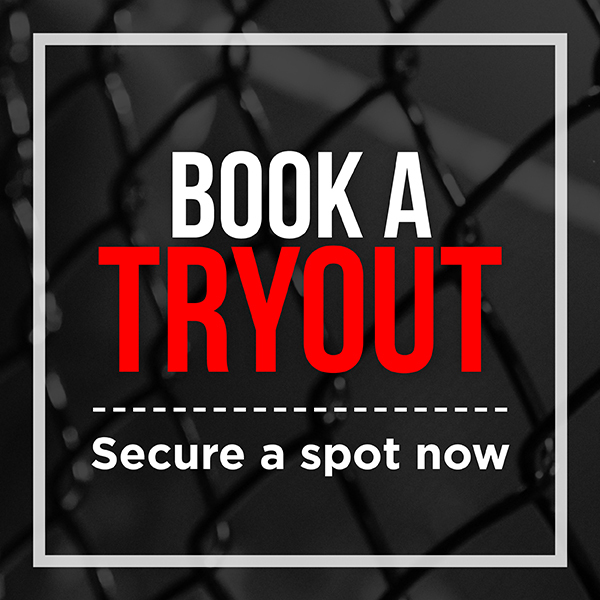 Who's ready to get their children off the 'Net' or out of the 'Box' and onto the mats?